On April 20,1934 Göring and Himmler agreed to put aside their differences (largely because of mutual hatred and growing dread of the Sturmabteilung) and Göring transferred full authority over the Gestapo to Himmler, who was also named chief of all German police forces outside Prussia. Himmler on April 22, 1934 named Heydrich the head of the Gestapo. Himmler was later named the chief of all German police on June 17, 1936. At that point, the Gestapo was incorporated into the SIPO or Sicherheitspolizei with the Kripo or Kriminalpolizel (Criminal Police) and considered a sister organisation of the SD or Sicherheitsdienst. Reinhard Heydrich was head of the SIPO (Gestapo & Kripo) and SD. Heinrich Müller, was the chief of operations of the Gestapo. He answered to Heydrich. Heydrich answered only to Himmler, who in turn answered only to Hitler. The merger of the SS and Gestapo effectively removed it from the oversight of Frick, who as interior minister would have normally been Himmler's superior. However, Himmler and the SS, as mentioned above, were responsible only to Hitler. The Gestapo had the authority to investigate treason, espionage and sabotage cases and cases of criminal attacks on the Nazi Party and Germany. The basic Gestapo law passed by the government in 1936 gave the Gestapo carte blanche to operate without judicial oversight. The Gestapo was specifically exempted from responsibility to administrative courts, where citizens normally could sue the state to conform to laws. As early as 1935, however, a Prussian administrative court had ruled that the Gestapo's actions were not subject to judicial review. Werner Best, Himmler's right-hand man with the Gestapo, summed up this policy by saying, "As long as the police carries out the will of the leadership, it is acting legally." A further law passed later in the year gave the Gestapo responsibility for setting up and administering concentration camps. In September 1939 the security and police agencies of Nazi Germany were consolidated into the Reich Main Security Office (RSHA), headed by Heydrich. The Gestapo became Amt IV (Department IV) of RSHA and Müller became the Gestapo Chief, with Heydrich as his immediate superior. 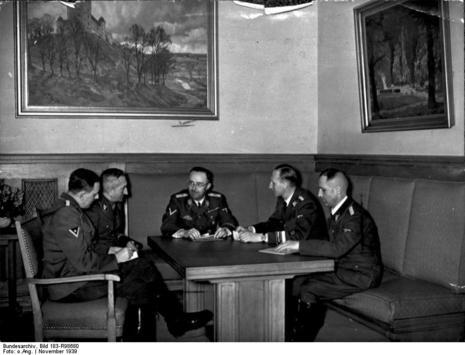 After Heydrich's assassination in 1942, Ernst Kaltenbrunner became head of RSHA, and Müller remained the Gestapo Chief, a position he occupied until the end of the war. 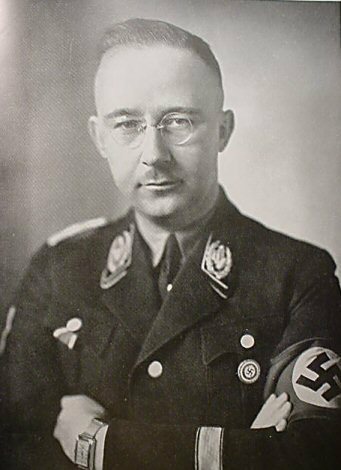 Another ambitious Nazi, SS Reichsführer Heinrich Himmler, soon set his sights on the Gestapo. A fierce rivalry then developed between Himmler and Göring, with both men working against each other to curry favor with Hitler as to who would actually run the Gestapo. On April 20, 1934, after much infighting, Göring decided to cede the Gestapo to Himmler and his associate, Reinhard Heydrich, who took over as Gestapo chief two days later.